Haha, Kwon actually slapped his own face to snap out of it... and I am also very glad Yang regained his vocals. Btw, why is the actor of MY hardly ever present in group events or gatherings? Kim JaeYoung has been busy shooting his upcoming drama, My Dear Room. He's the lead male there. this is so cute. Bromance is alive! Why are they so cute ??? What's so funny about blowing the candles ??? I want to know what they're laughing about !!! This was a solid show. Pacing issues aside, I really enjoyed it. "You're making me -/- I'm uncomfortable" goes down as one of the best K-drama phrases lol. OMG!!!! DO AND MR DIMPLES. they are so cute!!!!! I am curious as to what DO was telling to him. 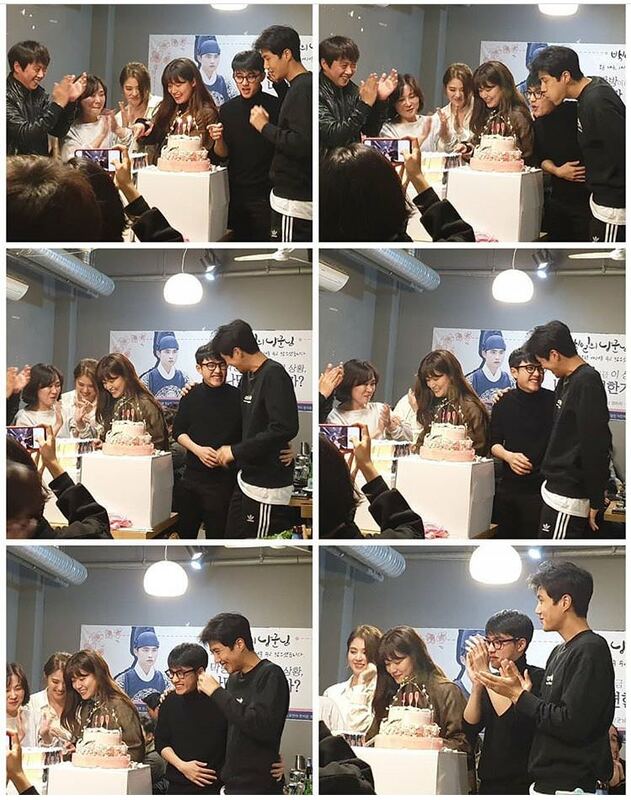 As NJH was deciding how to cut the cake, I think DO told KSH "let her cut the cake, shall we blow the candles?" and there they go!!!! Phew!!!!!! OMG LY and YYS in the royal attire!!!! the photoshopping is superb!!!! They look gorgeous!!!! Finally watched the last episode and just as I thought KCE used the blank king’s order to save his daughter. I suppose that showed he had some humanity left. I also wished to see YYS all dolled up in royal robes but I guess I’ve already decided to be content with her reunion with Yul in the village. I guess everything came full circle especially with the king issuing an order that all singles must be married in order to force Yul to marry. The last half was indeed hilarious. All I could have wished for is more time with our reconciled OTP. Clearer view of the bromance. LOL. They look like naughty kids blowing out the candles. Interesting comment on their kiss scenes. Not a shipper but the two of them acted together so comfortably as if they have been working together for a long time. Watching NJH's dramas, you realise that she makes her co-stars comfortable and they have a less awkward time filming. I have to say that the drama leaves me a bit behind. From beginning to end I wasn't happy with the pacing, the cinematography (partly) and the editing. It all felt juvenile and not thought through. And I was proven right in the finale as well. The ending left me rather unsatisfied. Of course that's my personal opinion and my problem. If you're happy with the ending: that's amazing! For me, it didn't catch me. Probably because I wasn't wholehearthly involved in the main couple. I think I was in the beginning but then the writer just wasn't able to convince me: these two belong together. Lee Yul was always more love involved than Yi Seo. I know she loved him but... he was definitely more involved since being a child. 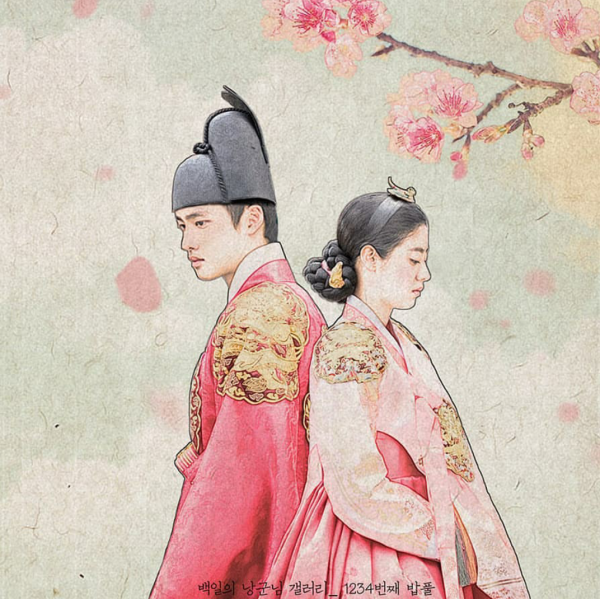 This drama also proved to me: a drama can be preproduced and still be lackluster. There are many pre-produced dramas out there which have the same issue. So 100 Days Husband isn't alone. You know I don't expect the biggest twists and the writing can be flawed. And I knew with the pacing being off that they would rush to conclude everything in the last two episodes. But wow... were these two episodes rushed and messy. Let's just kill off all the obstacles and ship off the Crown Princess. I can't even remember what happened to the Queen. I don't know... the finale was all over the place. In the end they tied everything together as quickly as they could but left the couple miserable until the end and the reunion. But despite that I still enjoyed the drama while it lasted even though I've forgotten most of it already. Which is sad. The only thing I won't forget though is the lovely main theme of the couple. The music and music editing was the only thing that felt absolutely complete. With that I move on to new dramas. I don't know when I have laughed so hard. Some clever soul on Tumblr has compiled a video of every time our prince said "oho"
Please try find one with the bulpyeon compilation... ?? @thistle I will forever remember 'bulpyeon' and 'o-ho' as distinctly 100DMP quotes. 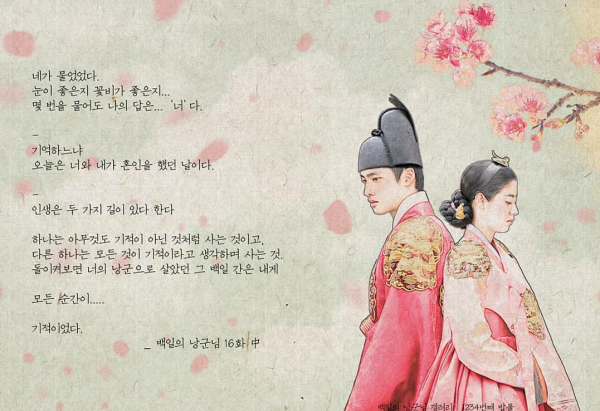 I have thoroughly enjoyed this drama despite all the plot holes and weird edits. Time well spent. Personally I am plenty happy with how their love story ended.